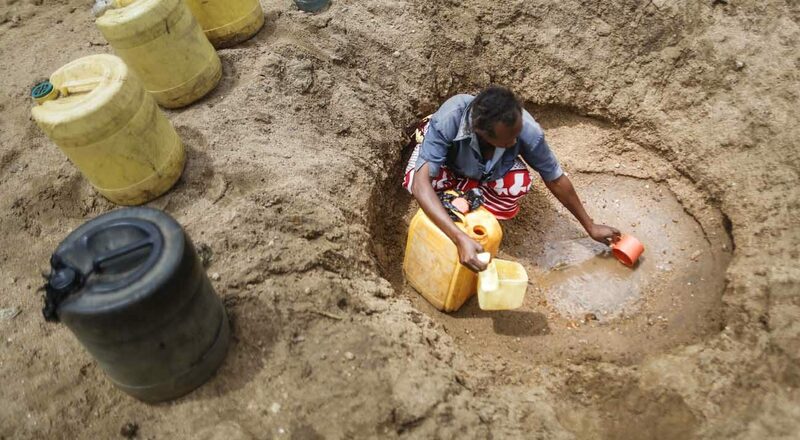 NAIROBI, Kenya (CNS) — The Kenyan government declared the country’s drought a national disaster, three days after Catholic bishops requested such an action. The bishops appealed for food relief Feb. 7, in an effort to get help from other countries. Reliefweb, a specialized digital service of the U.N. Office for the Coordination of Humanitarian Affairs, said in the last year, Kenya’s food insecurity had nearly doubled, so that now 1.25 million people are affected. The drought has also affected livestock and wildlife in 23 of Kenya’s 47 counties. The bishops said they were receiving reports from diocesan and parish officials with “tales of suffering, desperation, hopelessness and in some cases, imminent loss of life.” They said as many as 2.4 million Kenyans were in dire need of food; the Kenyan Red Cross says 2.7 million people face starvation if more help is not provided. The bishops encouraged contributions through Caritas, the church’s charitable agency. Most of the countries in East Africa have been badly affected by the drought, which officials say was exacerbated by last year’s El Nino weather phenomenon.